That's all from us for today - thank you for joining us. 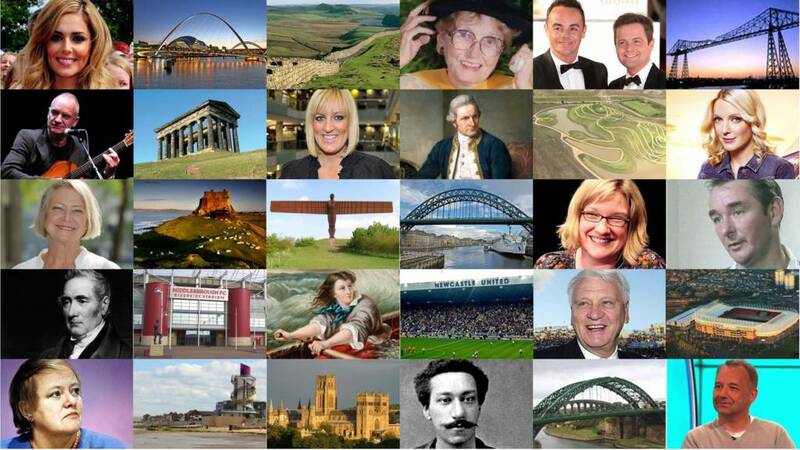 You can still catch up with the latest news throughout the night on BBC Tees, BBC Newcastle, Look North, and online. We'll be back on tomorrow from 08:00. We'll leave you with this lovely photo - Michelle Harding couldn't resist snapping this seal basking at St Mary's Lighthouse in Whitley Bay, and has kindly sent us the image. Have you got any photos you'd like to share with Local Live? You can Tweet them @BBCNewsNE, email, or contact us through our Facebook page. A fine end to the day with some evening sunshine. It will remain dry and mainly clear overnight which will allow temperatures to drop. It will become rather chilly and a grass frost may form in some rural locations. A driver was seriously injured in a head-on crash in Northumberland. Her Suzuki SX4 was travelling northbound on the A697 at Low Barton when, for reasons yet to be established, it crossed onto the northbound carriageway and collided with the front of an articulated lorry. The 63-year-old suffered life-threatening injuries and was taken to Newcastle's Royal Victoria Infirmary where her condition is described as critical as stable. Anyone who witnessed the crash at 17:22 on Tuesday, is asked to contact Northumbria Police. The description of this exhibition in South Shields reads: "An interesting selection of postcards collected and curated by art historian and postcard aficionado Dr Gail-Nina Anderson. "Gail-Nina’s postcards are grouped for display in wonderfully disparate themes – from the unexpected and curious, to the downright bonkers." A man who drove a tipper truck the wrong way on a road and almost hit a police car has told a judge that he was "in the middle of a nervous breakdown." Patrick Denman, of North Seaton Road, Ashington was sentenced to six months in jail after driving off from his work's depot in one of its trucks, going the wrong way along a dual carriageway and swerving towards a marked police car before ending up on a grass verge. At sentencing he told the judge: "I am truly sorry for the inconvenience I have caused and I didn't mean to hurt anybody." At a previous hearing at Newcastle Crown Court, the 36-year-old admitted aggravated vehicle-taking, dangerous driving and driving without insurance. England manager Gareth Southgate paid tribute to his former team-mate, who died last month. South Shields FC is to set up a new football academy for 16 to 19-year-olds. It comes after the club has enjoyed an incredible season, winning three trophies. Beginning next season, the academy will have up to 40 players, who will also study for courses provided by Sunderland College. There has also been an announcement that managers Lee Picton and Graham Fenton will become full-time employees at the club. The driver swerved towards a police car after dangerously driving for 50 minutes. Officers targeted eight addresses in the west end of Newcastle over two days. Seven of those arrested currently remain in custody. Det Supt Steve Barron said: "This is part of an intelligence led policing response to a problem that is becoming more apparent across Europe and it is important that we are robust in our efforts to tackle this type of crime. "This type of crime forces people through threats or coercion to work for little or no pay, or to pay off outstanding debts. The Durham Light Infantry (DLI) Collection at Sevenhills has received a donation of a James Barker Bradford framed "death penny". It was a memorial plaque issued after World War One to the next-of-kin of all British and Empire service personnel who were killed. James Barker Bradford, of the DLI, was awarded the Military Cross for his bravery during the Battle of Somme capturing prisoners. 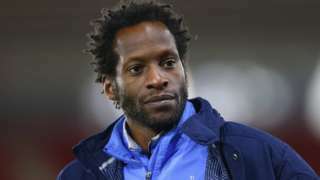 The funeral of former Middlesbrough footballer Ugo Ehiogu is taking place in Highgate, London today. He died last month at the age of 44 after collapsing at Tottenham Hotspur's training centre. A tipper truck driver who drove the wrong way down a road heading for his ex-wife's house has been jailed. Patrick Denman, from Ashington, quit his job and drove off from his depot in the truck in March. The 36-year-old admitted aggravated vehicle-taking, dangerous driving and not having insurance at Newcastle Crown Court and was jailed for six months. Watch footage of him leaving the depot and driving off. A tipper truck driver who almost drove into a police car and drove the wrong way down a road after an argument at work has been sentenced to six months in jail. 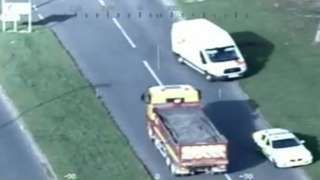 Patrick Denman, of North Seaton Road, Ashington, drove off from his work's depot in one of its trucks, and was spotted by police helicopter going the wrong way along a dual carriageway and swerving towards a marked police car before ending up on a grass verge. The court heard he was on his way to his ex partner's home to intimidate her, and he was also given a five year restraining order. 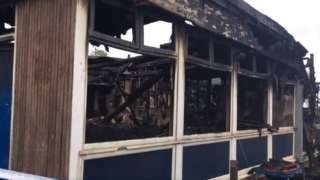 The fire at Rift House Primary School badly damaged a classroom and the nursery. 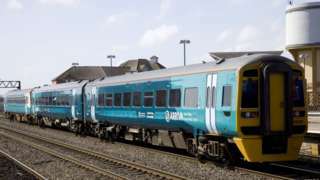 Staff at Arriva TrainCare will walk out on 19 May, the RMT union says. The directors of the next Avengers film have revealed that Durham Cathedral "won't be represented as what it is" in the movie. The cast and crew have now finished filming Avengers Infinity War at the location. The cathedral's role in the film is being kept top secret. Teesside has lost out on a new call centre to Newport in Wales - partly because of how people in the two locations speak. A funeral planning business hopes to create 300 jobs at a new contact centre. Carpeo said a major factor in its choice of location was the "consoling" and "empathetic" Welsh accent, which was important for its market. A 29-year-old man has been arrested in connection with the death of a man in Newcastle. Officers were called to Joan Street, Benwell, this morning after reports of concern for the welfare of two men. One man was pronounced dead at the scene, and a second was taken to hospital in a critical condition, but is now stable. Northumbria Police say enquiries to establish the circumstances around the death are ongoing. A beagle from Middlesbrough has reached the finals of the UK's largest pet slimming competition - PDSA Pet Fit Club. Alfie will try to lose two stones in weight as he competes against six other fat pets from across the UK, including dogs, cats and even a giant rabbit. Owner Emily Simcox said: "We're guilty of feeding him too many treats and leftovers. "He loves corned beef and chicken from our Sunday dinner; he'll just sit and stare at our plates until we give in."